When you envision visiting Hawaii, you probably see a tropical paradise. However, residents of Hawaii might tell you that there is a dark side to living on the islands – debt. Recent research rankings indicate that Hawaiians have the highest level of debt in the nation, relative to their incomes. Why is this? Learn more about the Hawaii debt crisis, what causes it, and get some debt relief tips. Recent research on debt across the nation showed that residents of Hawaii put over 36% of their income towards paying off existing debts. This amounts to spending an average of $238 each month for credit card debt. This is approximately $31 dollars more than the national average. Meanwhile, educated Hawaii residents are spending approximately $385 per month towards student loan repayments. In sum, most Hawaiians are spending an average of $1714 per month towards all their debt obligations. You may wonder how the Aloha State, a prime location for a vacation destination became so burdened with debt. There are several factors that contribute to the current debt crisis for residents in the state. These factors are comprised primarily of income variables and cost of living variables that work together to make a major financial imbalance in which Hawaii residents simply get entrenched in debt. Most people go to Hawaii on vacation. However, residents run the industries there, making it a decent place to live for its full-time residents, while making it fun for vacationers. Unfortunately, for full-time residents of the state, life is not a vacation. They work jobs for relatively low income compared to the living costs. 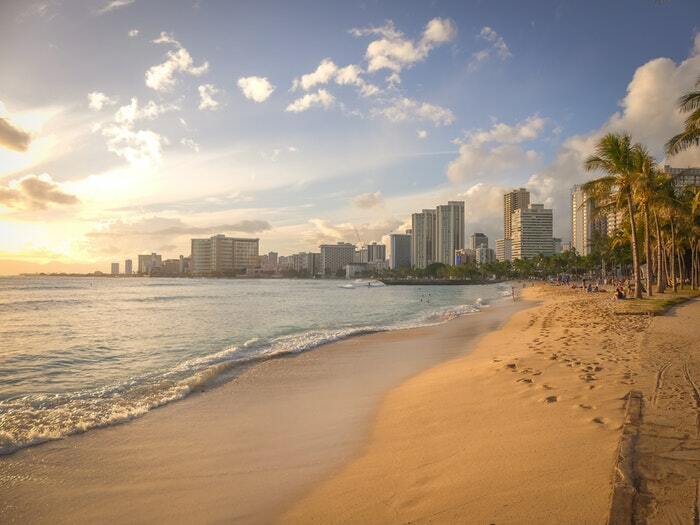 Further, the average income in Hawaii is $56,889, which is lower than the national average. Another expense that contributes to the overall debt picture for residents of Hawaii is the high cost of housing. The average monthly payment for housing is $1091, which is nearly $100 above the national average and the fourth highest rate in the United States. When residents of Hawaii are spending a good portion of their income on just a place to live, it leaves little for other expenses, which is when they turn to credit cards, increasing their overall amount of debt. Housing is not the only expense that costs more in Hawaii relative to the national average. Everything can cost more than is typical. This reality is due to Hawaii’s location. Many goods must be shipped to Hawaii from the mainland United States. Those added shipping costs are unfortunately passed onto the consumer. This means Hawaiian residents are stretched thin, paying more for everyday goods that they cannot necessarily live without. With residents of Hawaii spending so much of their monthly income on debt, it is really difficult for anyone to get ahead of their regular bills. This means many Hawaiians are living month to month on just what their paychecks provide. If some sort of unexpected bill occurs (such as a large car repair cost), Hawaii residents are often forced to go even further into debt to finance that charge. This means that their debt and monthly financial obligations only continue to grow. A combination of lower than average incomes and higher than average living costs is the direct cause of the high debt in Hawaii. Residents are struggling to simply afford their living expenses and so they turn to credit cards or other means of financing. Then, they struggle to pay those debts down and are forced to carry the debt long-term. It is an unfortunate problem that makes the Aloha State seem less like that tropical paradise you might have initially envisioned. Given the current financial situation for many of Hawaii’s residents, lawmakers there are looking for ways to correct the problem. Typically, this would mean reducing the imbalance between income levels and financial obligations. One way to do this could be through raising the minimum wage so that people have more income to work with. Another way to protect Hawaiians might be through increased regulation of high-interest payday loans, which can cause significant debt-related challenges. These strategies may help to provide long-term solutions for Hawaii residents in the long-run. However, many residents of the Aloha State are looking for immediate relief. In some cases, individuals face the need to declare bankruptcy so that they can get out from under their debt burden and have a chance for a new financial start. If you are considering this financial option, give us a call. We can help you resolve your debts and start on a new financial plan.